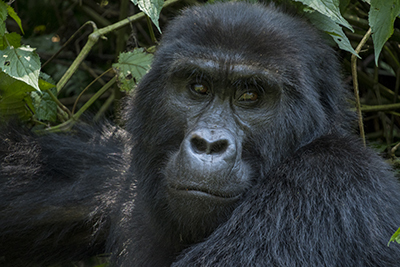 It will be hard to top last year’s amazing expeditions but we’re going to give it a try. 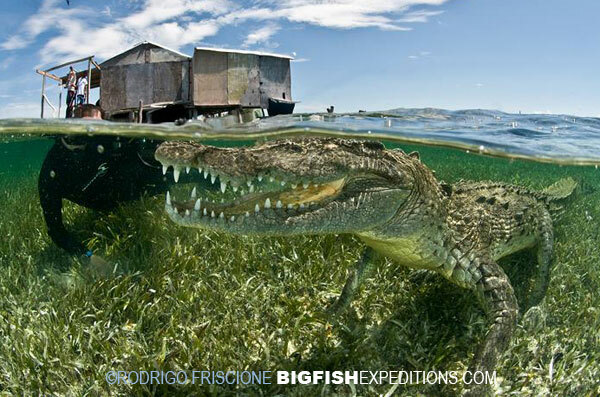 Our 2014 calendar is even more action packed with classic expeditions and brand new off-the-beaten-path adventures. Why? Because life is too darn short to NOT fill it with amazing memories whenever you can! I love the planning and execution of new adventures. 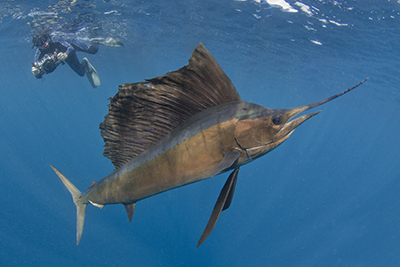 As I research new big animal destinations, one theme reoccurs over and over; if you want to see big pelagic predators, you need to follow the mass fish migrations that occur all around the world at different times of the year. Some events are hard to predict and some frustratingly occur at the same time on opposite sides of the planet. 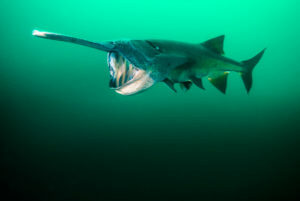 But it seems as though there is always a sardine run, or a herring run, or a tuna spawning event going on somewhere. 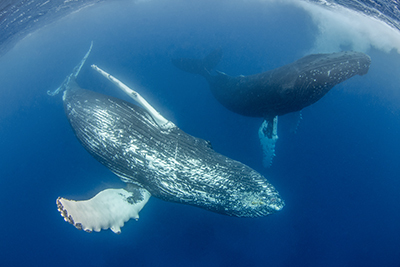 My job is to make sure that we’re in the right place at exactly the right time to enjoy world class encounters with the ocean’s heavy weights. Your job is to meet me there are enjoy the adventure of a life time. STARTING 2014 WITH AN EXTREME ADVENTURE! 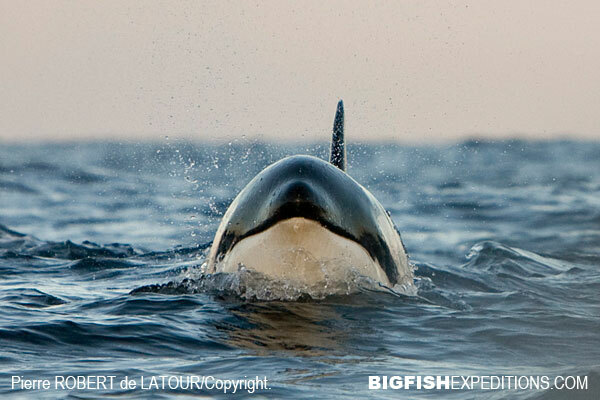 In a few days I am flying to Rorvik in Norway to lead our first Orca Diving Expedition. This is one of those encounters that is highly unpredictable but we have partnered with the absolute best Norwegian Orca Diving Operator. 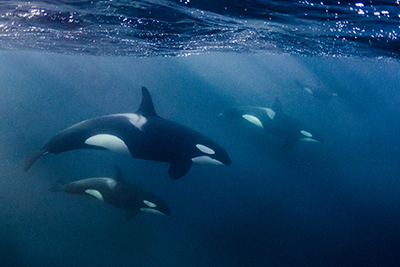 The news from Norwegian Killer Whale researchers is extremely promising. Apparently the North Sea Herring Run is in full swing right now and there are hundreds of orcas and whales coming in to feed up and down the coast. Expect a trip report as soon as we return. Attack of the Squat Lobsters from Andy Murch on Vimeo. 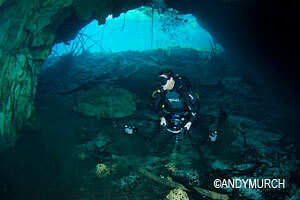 From this point on, I will try to bring the deep cam on every trip where there is deep enough water. 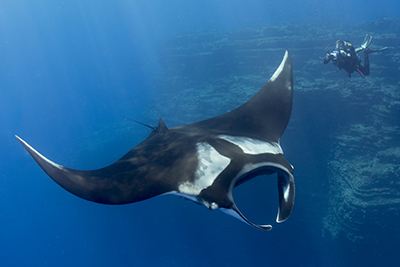 For those of you that are on our sold out Socorro and Tiger Beach trips in March and April, you’ll be the first to witness this brand new dynamic on our trips! 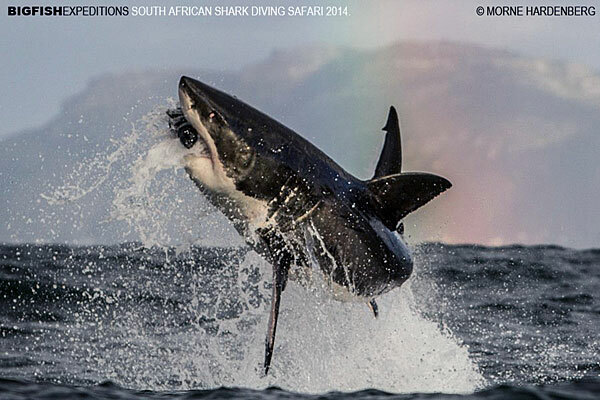 NOTHING BEATS THE SHARK DIVING IN SOUTH AFRICA! 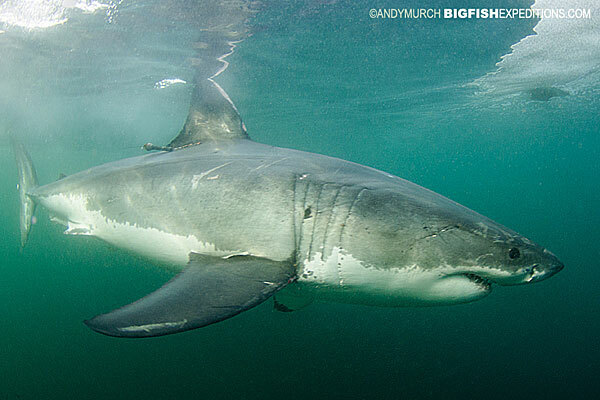 Secondly, straight after our Cape Town Shark Safari, we are heading east to the Sardine Run. 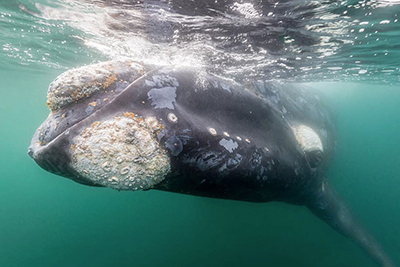 This is an event that occurs each year when millions of sardines migrate along the South African coastline pursued by thousands of dolphins, sharks, whales and diving birds. 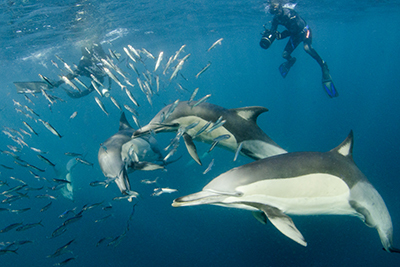 When the weather, sardines, and big animals all come together, the South African Sardine Run is probably the most visually spectacular event in the ocean. 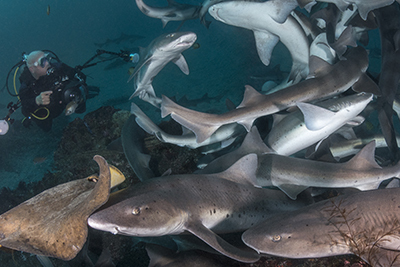 Thirdly, South Africa has incredible shark diversity. As I mentioned in my rant about the Cape Town Shark Safari, you can expect to see up to 10 species of sharks in False Bay (7 species on just one dive!) 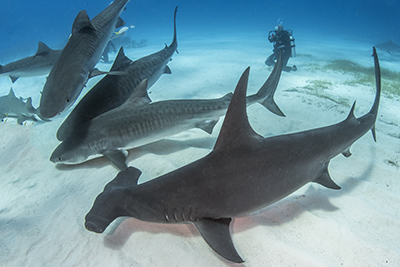 but there are even more sharks lurking below recreational diving limits and this year we’ll have the deep cam with us and a big bag of bait. 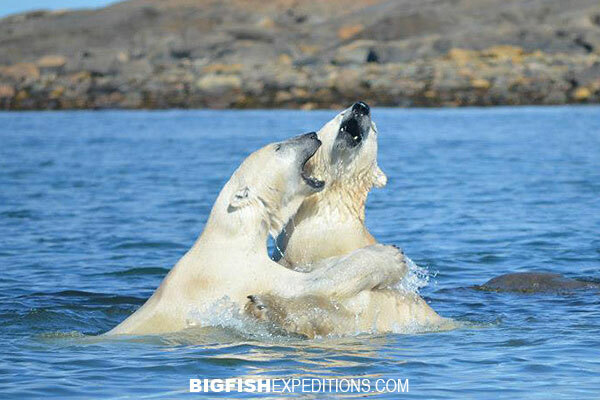 Who knows what species will show up to take a nibble! After spending three weeks in South Africa, we are heading back to the Isle of Mull to take another crack at the annual basking shark migration. Last year the warm water arrived a month later that expected which was a tragic blow to our first expedition. There was no way anyone could have known that would happen because the previous five years had enjoyed the best encounters exactly during our expedition window. 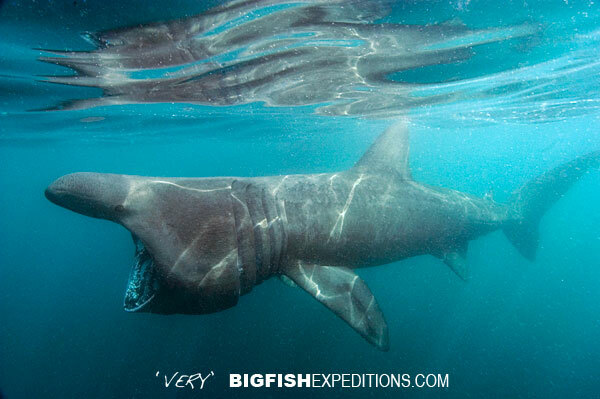 This year we will try again and I expect that this year we will have an epic week of basking shark encounters! Just one spot left on the boat if you’d like to join us: Basking Shark Adventure. 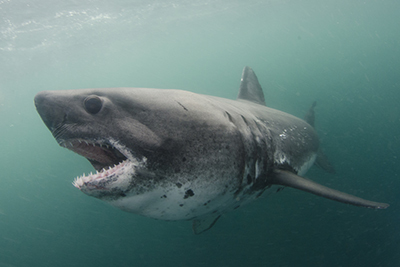 In July we have our first trip to see the salmon sharks of Alaska. Think of them as mini great whites! These stocky bullets arrive in Prince William Sound each summer to feast on another migratory phenomenon; the great Alaskan salmon run. 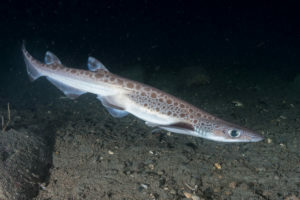 Notoriously shy, we will attempt to slip into the water with these sharks as they chase salmon into the river mouths in the northern reaches of the sound. This will be an amazing trip filled with diversity. 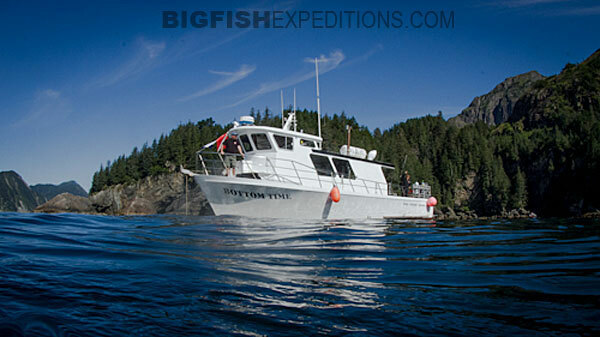 As well as salmon sharks, we will also snorkel with the salmon themselves as they congregate in the shallows and we will do some exploratory dives on virgin shorelines where few (if any) divers have ever taken the plunge. And then there’s the spectacular topside scenery plus eagles and grizzly and black bears foraging along the shores. We have just one spot left on each week. It’s going to be a busy summer! After two weeks in Alaska, I arrive home to Vancouver Island early in the morning and leave again that afternoon for sunny Isla Mujeres (near Cancun). Three days after whale sharks, we’re heading to Churchill on the banks of Hudson Bay to swim with migrating beluga whales. 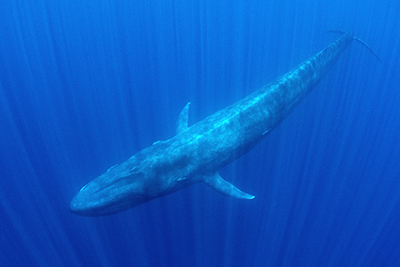 This is the most accessible place on the planet to enjoy close up encounters with the world’s only white whale. 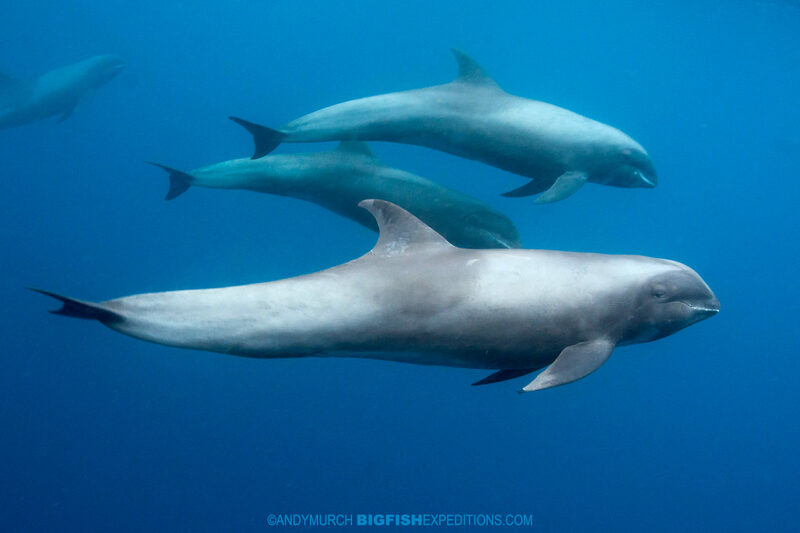 Known as ‘the friendly whales’, pods of curious belugas eagerly approach delighted snorkellers. Expect very close encounters! After our morning beluga encounters we will drive along the shore to shoot migratory birds and beautiful tundra vistas. 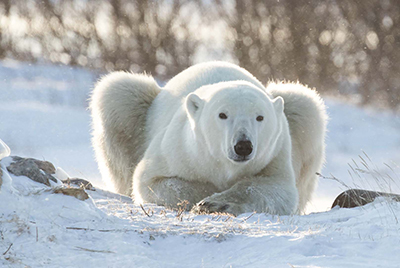 Although polar bears can be illusive in the summer months, hopefully we’ll also get to see some cooling off in the bay. 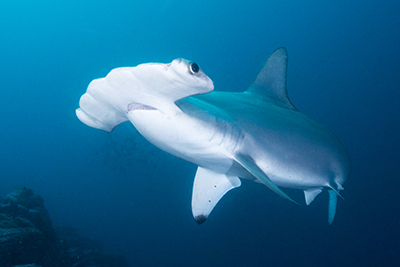 In November we went on a scouting trip to Malapascua Island in the Philippines to look for Pelagic Thresher Sharks. What we found was a tropical paradise in every sense of the word. The diving is extraordinary. 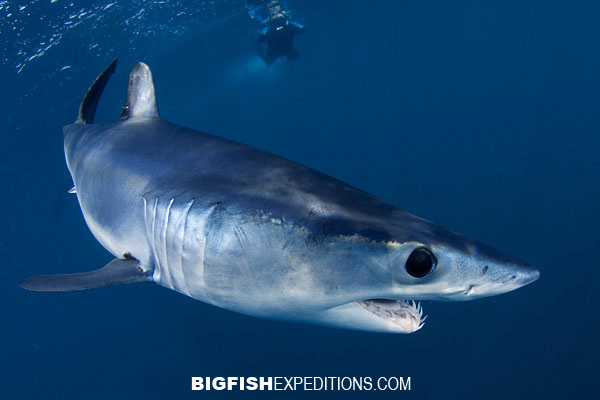 Each morning we visited Monad Shoal where hundreds of thresher sharks make their way up from the inky depths to visit the cleaning stations. 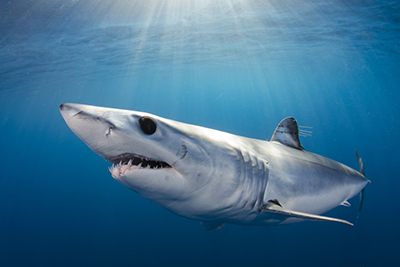 I watched one shy thresher circle me multiple times at a distance of a few meters. 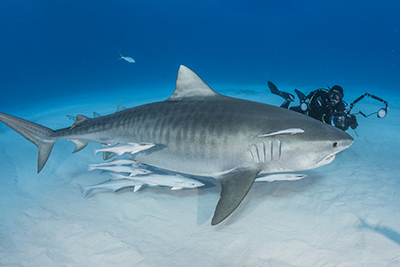 Finally deciding I wasn’t a threat, the 10ft shark closed the gap and stalled in the water column right in front of me and then dropped its tail to signal the cleaner fish to swim over and start work. I expected a few fleeting glimpses of this illusive species but the operator we are working with has a thresher sighting rate around 98%! That alone would be enough to warrant a guest trip but the marine life on the surrounding reefs is breath taking in its diversity. 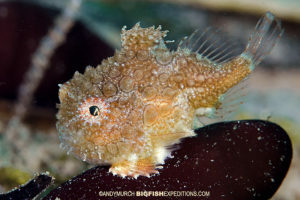 Expect pygmy sea horses, blue ringed octopuses, white spotted and banded bamboo sharks, mating mandarinfish, incredible soft coral reefs, multiple cuttlefish and squid species, ornate ghost pipefish, giant frogfishes and wrecks drenched in hard and soft corals. Malapascua is simply spectacular! 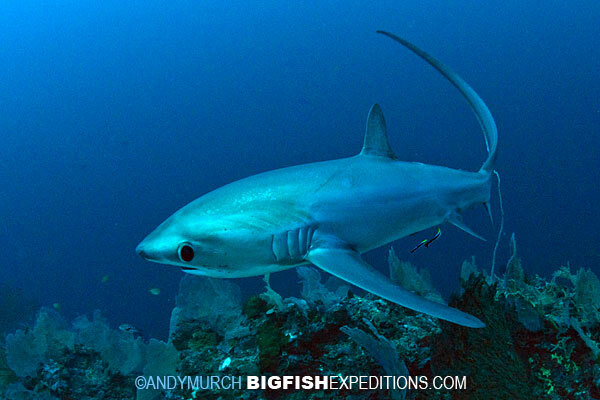 Join us this November on our first guest trip: Thresher Shark Diving Malapascua. At the end of November, we are heading to sunny Mexico for the Bull Run. 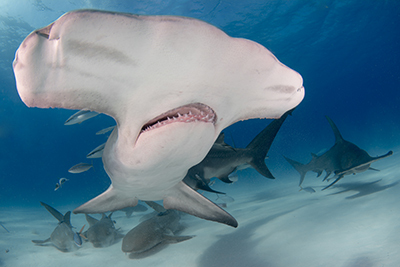 A stone’s throw from Playa del Carmen, there is a patch of ocean patrolled by scores of beefy bull sharks. 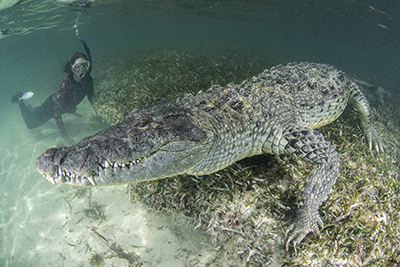 Each morning we will slip below the waves with the most experienced professional shark wranglers in Mexico. 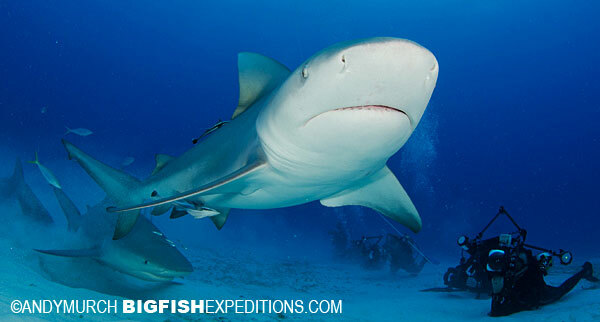 Expect very close encounters with extremely large bull sharks. The photo opportunities will be amazing! 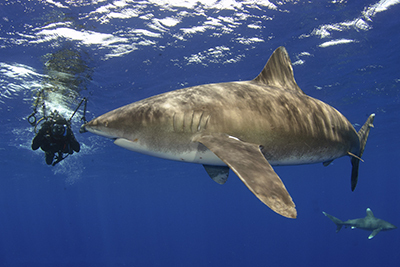 The best place in the world to see Great White Sharks in crystal clear water is Guadalupe Island off the west coast of Northern Baja where hundreds of apex predators congregate each fall to feed on seals and sea lions. 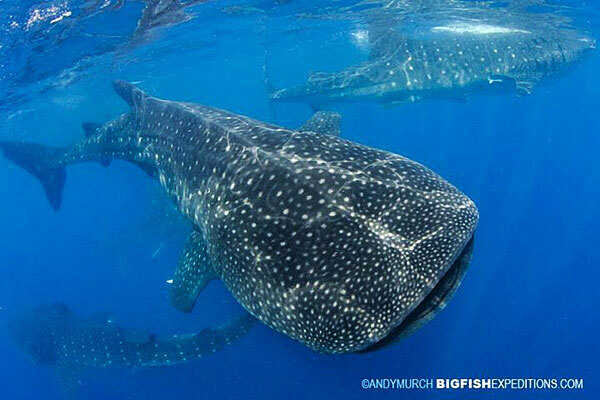 Feel the raw power of these incredible behemoths as they swim by, within touching distance. 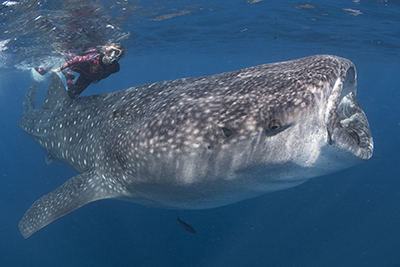 This is an experience that every avid shark diver must have at least once! 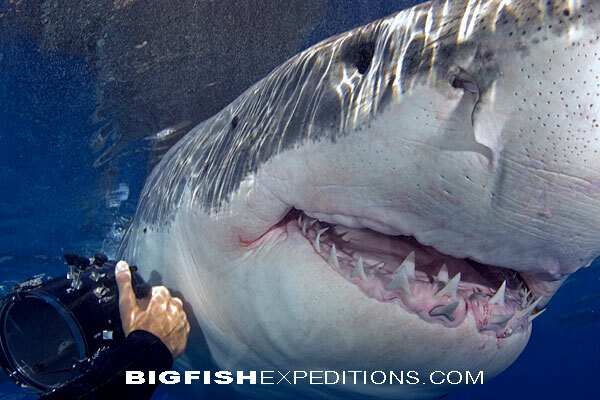 Join us in September 2015 for an encounter you will never forget: The Great White Sharks of Guadalupe. There are so many more trips to tell you about on the 2015 schedule but its time for me to sign off and start packing for Norway. 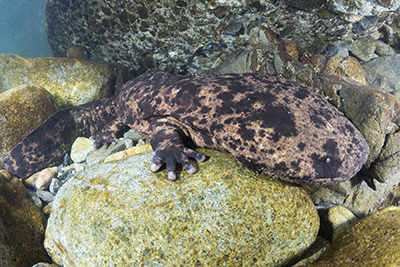 I look forward to diving with you all on our adventures. We couldn’t do this without you! 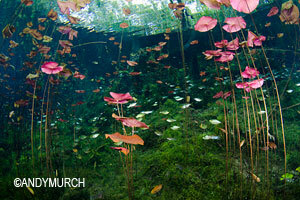 Andy Murch is a professional big animal photographer and the founder of Big Fish Expeditions.